Harrods department store in Knightsbridge, London, needs no introduction. 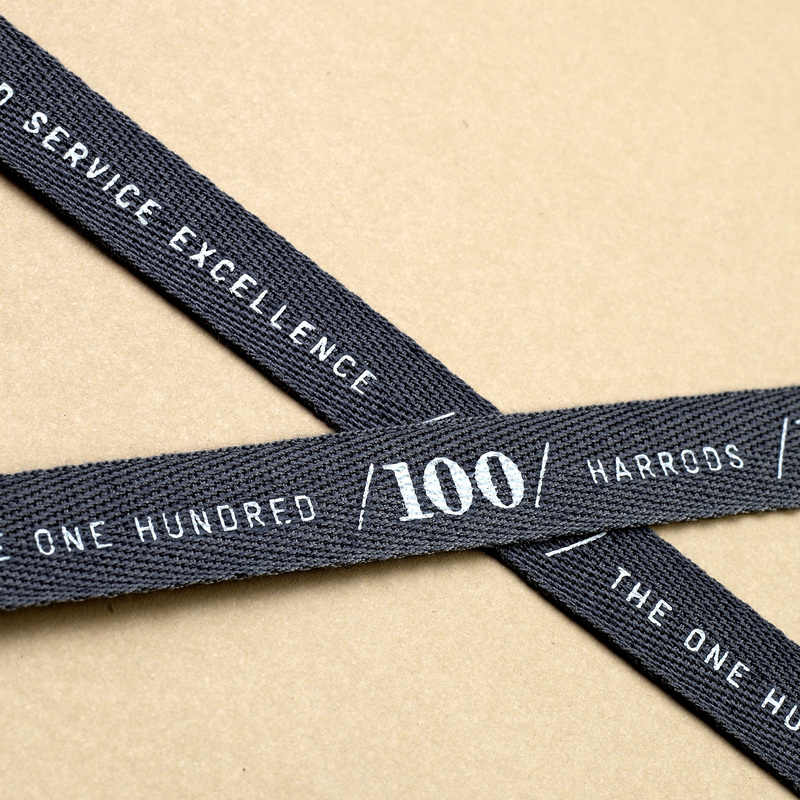 With over 3,000 employees working for the historic store, their most successful staff are rewarded at an annual event that celebrates the company’s top 100 sales people – the Harrods 100. Made Thought were commissioned to design a unique promotional bag for the event and invited Progress to oversee the manufacturing. 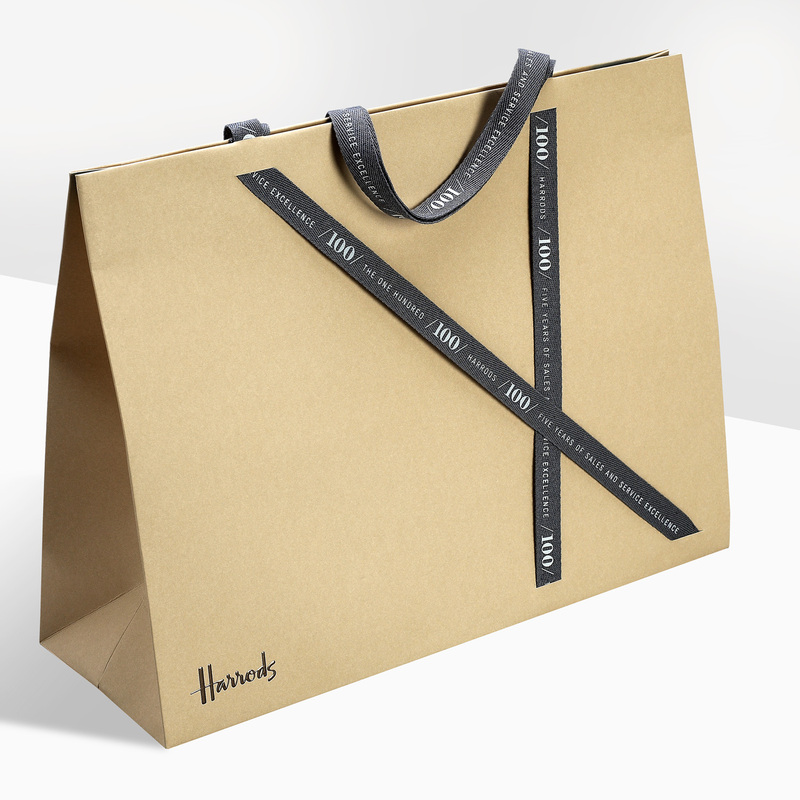 Made from dyed uncoated paper, the bags were die-cut in a number of positions across both faces to allow a hand-threaded printed ribbon to feature as the central design – as well as ingeniously functioning as the carrying handles. 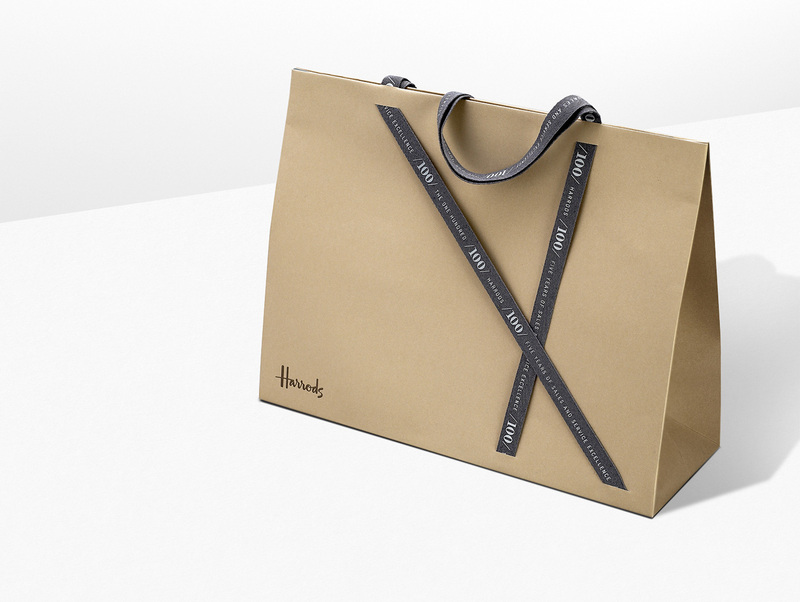 To brand the bags, the Harrods identity was gold foil embossed in the bottom corner. Due to the intricacy and construction detail of this luxurious packaging piece, we individually hand made and finished each bag in a limited number.